Section 2 goes from Sandpoint, ID to Cut Bank. MT. 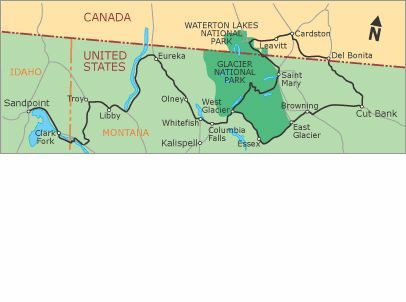 There’s an alternate route near Glacier that briefly goes into Canada.